Breathtaking shot! Keep them coming. Now that is an excellent photo...well done. Very cool - or hot, as the case may be! 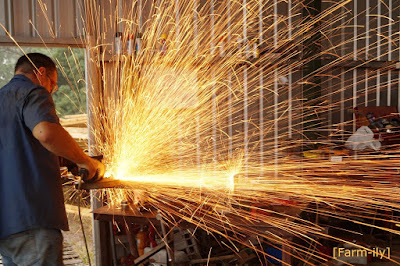 That is a great shot.I love how you caught the action of the sparks. I have seen this often enough! Great capture of it.